Corinth Pipeworks is a global supplier of high quality steel pipes for the energy and construction markets. Our plant is located in Thisvi, Viotia, Greece, its annual production capacity amounts 1,000,000 tons, approximately while we have a worldwide commercial network. 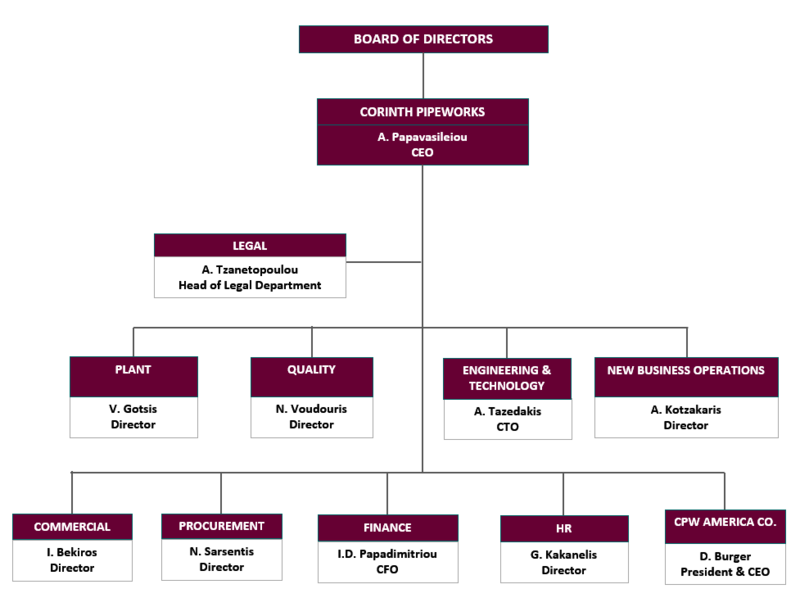 Following a cross-border merger by absorption by Cenergy Holdings SA of the Greek formerly listed companies Corinth Pipeworks Holdings S.A. and Hellenic Cables Holdings S.A. in December 2016, Corinth Pipeworks is a subsidiary of Cenergy Holdings SA The Cenergy Holdings portfolio consists of companies positioned at the forefront of high growth sectors, such as energy, telecommunications and construction with a strong financial position, a track record of success and a promising future. (more information on www.cenergyholdings.com).